Great design is not just about the way things look, it’s about how they work. 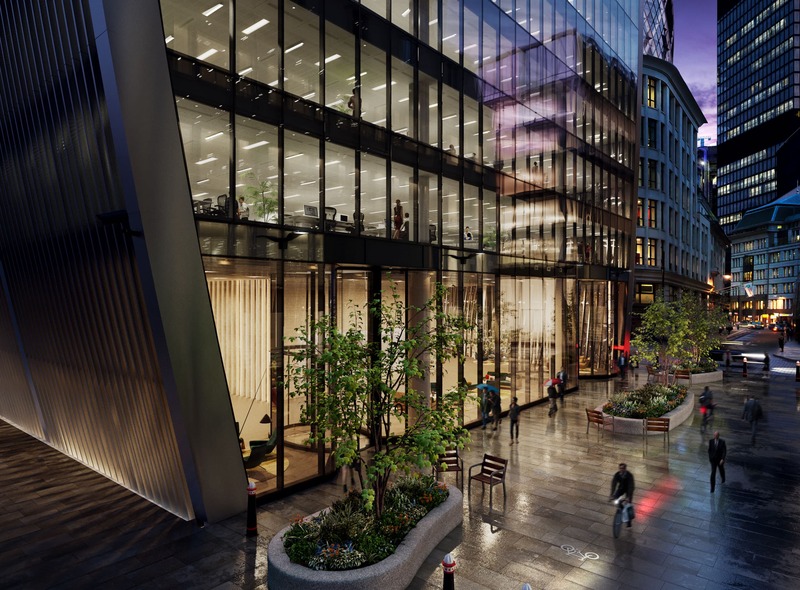 70 St Mary Axe is engineered for the changing shape of a modern, forward looking London that welcomes the world’s most innovative businesses – those who shape the future of commerce and creativity. Arranged over three basement levels and twenty-one floors above ground, 70 St Mary Axe’s distinctive, curvaceous form soars elegantly from the surrounding historic streets, with its curved glass and anodised, aluminium-finned elevation wrapped over the top of the structure. 70 ST MARY AXE PLACES YOU IN AN AREA OF THE CAPITAL THAT IS FAST EMERGING AS ONE OF THE MOST VIBRANT PARTS OF AN ALREADY STIMULATING AND DIVERSE CITY. WITH ITS UNIQUE, MULTI-SCALE DESIGN AND GENTLY CURVING EXTERIOR, 70 ST MARY AXE FITS YOU PERFECTLY INTO ITS SURROUNDINGS. The graceful symmetry and subtle curves provide variations in floor sizes that can be tailored to suit the specific needs of each occupier. The interior design, equally striking as the impressive exterior, is complimented by the 360° panoramic glass offering some of the most enviable views in London. 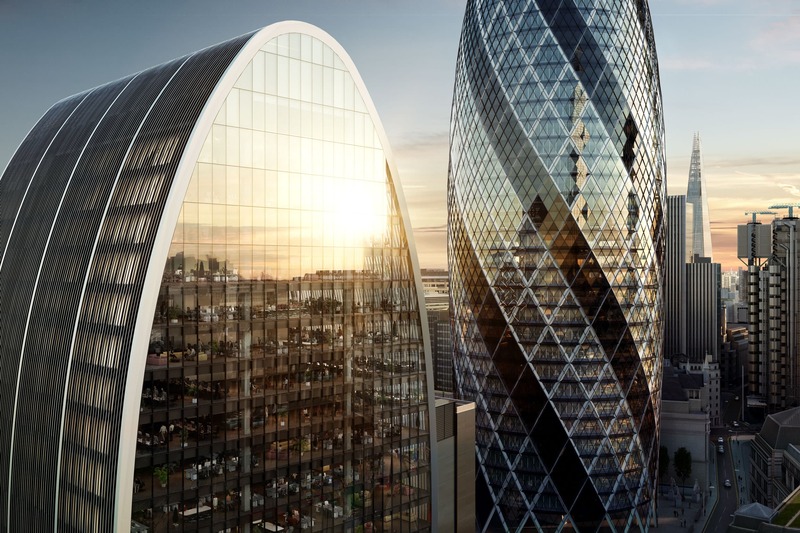 70 ST. MARY AXE IS ENGINEERED FOR THE CHANGING SHAPE OF MODERN BUSINESS, WITH ROBUST SPECIFICATION AND THE HIGHEST QUALITY FINISH. SMART AND EFFICIENT, ELEGANT YET EFFECTIVE. 70 ST MARY AXE IS A WORLD-CLASS BUILDING IN THE HEART OF A NEIGHBOURHOOD FUELED BY IMAGINATION AND INDEPENDENT IDEAS. Important notice relating to the Misrepresentation Act 1967 and the Property Misdescriptions Act 1991: (i) the particulars are set out as a general outline only for guidance of intending purchasers or lessees and do not constitute, nor constitute part of, an offer or contract (ii) all descriptions, dimensions, references to condition and necessary permission for use and occupation, and other details are given in good faith and are believed to be correct, but any intending purchasers or occupiers should not rely on them as statements or representations of fact, but must satisfy themselves by inspection or otherwise as to the correctness of each of them. March 2018.